Ukrainian military men are continuing to fight in some districts of Ilovaisk and are receiving reinforcements. 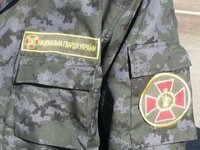 Combat actions continue in certain districts of Ilovaisk – the militants are attempting to recover territory that has come under the control of Ukrainian troops, but the Ukrainian military are repelling the counter-attacks, the Ukrainian National Guard press office said. "As of now, servicemen of the Ukrainian National Guard rapid response battalion Donbas and volunteer battalions involved in the special operation are receiving reinforcements from other Ukrainian regions. Heavy arms – mortar, grenade and anti-tank vehicles, air-defense systems – are on the way to the battle site. The forces and means should be sufficient," the press office said. Meanwhile, militants claimed earlier on Thursday that they had repelled attacks on Ilovaisk and surrounded a subdivision of Ukrainian troops. According to a statement from the militants' headquarters, street clashes went on in Ilovaisk throughout the night. Ukrainian servicemen have taken control of Ilovaisk, though counter-attacks by militants continue, Kyiv said on August 20. Sixteen servicemen of the Ukrainian Interior Ministry and National Guard were killed in clashes across Ilovaisk in the Donetsk region, Ukrainian interior minister's advisor Anton Gerashchenko said on Thursday. Ilovaisk is southeast of Donetsk; it is part of the Donetsk conurbation and a major railroad hub.